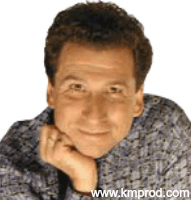 Master HYPNOTIST PAUL ANTHONY has achieved a well-deserved and outstanding reputation for bringing fresh, pure and fun entertainment concepts to stage hypnosis. With a highly successful, professional career spanning 2 decades, he has hypnotized tens of thousands of people all over North America, while consistently offering discriminating Clients one of the most sensational, interactive, fun-filled and affordable stage shows, anywhere! 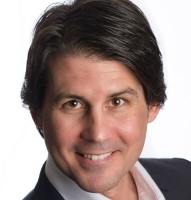 Paul Anthony creates memorable, positive and lasting impressions with audiences and Clients alike. This frequently results in repeat bookings and numerous word of mouth referrals, in addition to the exceptional entertainment value he provides for corporate, college & other special Events! Using nothing more than the "power of suggestion" to influence the volunteers (a completely observable and transparent process) Paul's unique blend of dry humour along with a witty, mischievous style of delivery make him one of the very best in the business. 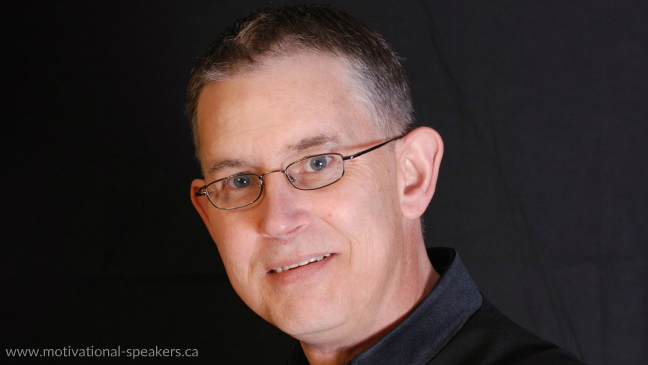 Paul also offers shows for smaller gatherings and has perfected a fun-filled, fast-paced stage hypnosis show specifically designed for as few as 40 attendees. Just bring your energy and enthusiasm and Paul will take care of the rest! Audiences are amazed, fascinated and delighted as they witness volunteers forget their names; perform music videos while transformed into today's current MTV stars; be stuck to their seats or, lose the ability to sit; speak in foreign tongues; as well as experience other fictional scenarios - all carefully orchestrated by PAUL ANTHONY - Canada's favourite Comedy Hypnotist. 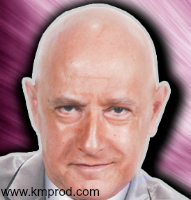 Paul Anthony is represented by K&M Productions. For more information, fees & booking hypnotist Paul Anthony, contact us. We hired Paul to be the entertainment for our TSC Stores’ AGM conference. After a long day of meetings, the many laughs he provided were exactly what we needed. It was a hilarious, interactive and entertaining show. Paul was very professional, funny and great to work with…people are still talking and laughing about it. 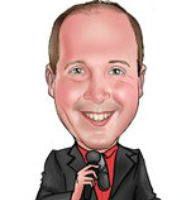 I highly recommend Paul to anyone looking for a great entertainer for their function. If you want to laugh, Paul is your guy! Thank you so much! Last night was awesome. You are amazing, everyone has been talking about how wonderful the show was! You made it a night to remember! I have never experienced our staff sitting idle for this long for anything we have ever presented before. Your show is absolutely amazing. Everyone really enjoyed themselves and had a great time. The feedback was entirely positive. We realy liked Paul and would not hesitate in recommending his show. This was the perfect show for our conference! Over 500 people were in attendance and everyone of them was extremely entertained. Paul's showmanship and ability to engage the audience had us all on the edge of our seats with amazement and laughter. This show is the perfect selection for any conference, social or fund raising event! Our feedback has been overwhelmingly positive and I look forward to the next time I can watch Paul at work. Just a quick note to let you know that having Paul Anthony perform at our yearly Home Health Conference was a huge success. People were crying since they were laughing so hard and it provided a wonderful atmosphere for the rest of the conference. They are still talking about it even now! Paul and K&M Productions were wonderful to work with. It was a great show. Very entertaining. The clincher was hypnotizing people that you know wouldn't fake it. The audience really enjoyed it and Paul did a great job. The evening was a success and the feedback was excellent. We would have no reservation in recommending Paul Anthony. Thanks again. Last night went great. Paul was awesome! People were talking about his show all morning. Definitely the best entertainment we've had at our conference. Thanks for everything. The professionalism of having such a top performer entertain at our recent Toastmasters Conference was spell binding as well as exhilarating! From beginning to end - I had total confidence and no worries. I would recommend without hesitation Paul Anthony and his team to anyone who wants to have entertainment to be enjoyed by all! Thank You for making me look good. You were right. He was just perfect -- the audience loved him -- the show was totally appropriate and my colleagues are all trying to figure out how we can have him back and do it again. I thank you for your recommendation and I will definitely suggest him in the future for others and different events. A class act and awesome!!" The feedback on Paul Anthony's show has been great. I've already been challenged as to how we can come up with something equally as entertaining next year. We may have to have him back! We appreciated his professionalism and tailoring the content to accommodate our culturally-diverse audience. He was very flexible in adjusting to our event schedule and I was very pleased at the opportunity to speak with him before the event to review our expectations. His content was engaging, thoroughly entertaining and very rewarding for the entire audience (including the "subjects" on stage). I would not hesitate to recommend Paul Anthony for any type of corporate or special event. Paul was masterful on Saturday. I can't say enough about his performance - before, during and after, he had complete control of the crowd and I'm sure no one even got up to go to the washroom while he was performing. When folks leave their parties to see what ours is about, you know you've got a hit! It was such a riot, not only are the staff still talking about it, but the bartender said it was the best Christmas party she has ever seen (out of hundreds). The only problem that was pointed out to me on more than one occasion, is the fact that I'm going to have a problem topping this next year. One suggestion was that I'll have to quit in order to go out on top. I'm thinking I would love to have Paul come back (because he's such a hard act to follow.) Thanks to you and Paul for without you I would never have had such a glorious evening. Master Hypnotist Paul Anthony performed at our Annual Toronto Police Service Professional Standards Conference. Mr. Anthony's performance kept our audience members glued to their seats while the performing investigators were glued to each other on stage. Everyone thoroughly enjoyed the show and we would whole-heartedly recommend this performer for any professional audience. The show was really great and Paul did a fantastic job! Our guests are still talking about the party and how great it was. Thanks again! Paul Anthony was truly an exciting and mesmerizing hypnotist that kept the audience on the edge of their seats. Everyone in sales and services saw the show and had a blast! In fact they are still talking about it in the halls! Thank you again for facilitating this enjoyable day! Just a brief note to let you know what a great show Paul did! We had a somewhat small group of about 45. There wasn't a disappointed person in the group. It is now several days later and we are all still talking about the session. Paul provided an exciting, captivating program that entertained a group that was 24 - 75 in age! There has not been one negative comment, we only have glowing reports from the evening from all in attendance! I have only heard great comments from audience members about Paul's show such as : 'Paul is thoroughly entertaining! Extremely enjoyable.' | 'Excellent show....I was mesmerized by his performance.' | 'Everyone enjoyed it immensely!' | Thank you to K&M Productions as well for your expertise and know-how during the entire process. It would be an understatement to say we were pleased and delighted with Paul's performance. The performance was a huge hit with all the guests; an evening/event that they will remember and talk about for years to come. We look forward to sharing more events in the future. We very much enjoyed Paul. We may have been a tough crowd but he made it work and, to everyone's delight. Thank you again for suggesting him. Everyone really enjoyed the show and I have received nothing but positive feedback. I would like to take this opportunity to let you know what a great success the appearance of Paul Anthony was at our Leadership Conference. As you know we had never tried anything of the sort with this particular group and approached the evening's entertainment with some caution. You were very reassuring, true to your word, and people were talking about how great it was the next day! Paul was extremely funny, and did an excellent job of reading the crowd. He was very professional and tasteful the entire time. As one of the Conference participants said 'I didn't need to watch the stage; I watched the audience on their feet, struggling to have a better view ... that's when I knew this was going to be one of the highlights of the Conference. On behalf of the organizing committee I'd like to thank you, Paul and his assistant in providing a truly uplifting, upbeat and unique experience! I would not hesitate to recommend PAUL ANTHONY for any type of function - corporate or otherwise. The show was excellent and many of our members are requesting that we book Paul again for next year. Thanks again! Paul performed a fantastic show and our audience thoroughly enjoyed themselves! Thank you so much for your assistance and, for bringing this marvelous entertainer to our attention! Sorry for the delay on sending this but I haven't been able to stop laughing since Paul entertained us at our Year End Party. Everyone and I mean everyone had the time of their lives as Paul wove his magic and made some of our more subtle co-workers come alive like we've never seen them before. This night will not soon be forgotten. His show is definitely something else. What an amazing performance - the best I've ever seen! You would never believe it until you've seen it for yourself. Paul Anthony was absolutely amazing! Paul was fabulous and the audience thoroughly enjoyed the show. We would not hesitate to recommend him! This was by far one of the best events we've ever had. Paul was amazing! Thank you so much for recommending him. You were right! On behalf of the social committee for St. Michael's Hospital we would like to thank you for a fantastic and very entertaining evening at our recent annual Christmas Party. It was absolutely the BEST party we have ever had and we have had lots of positive feedback! People are still talking it about it! I especially wish to thank you for everything and will not forget your kindness and hard work in making our event successful. Just wanted to say Paul put on a Fantastic Show. People are still talking about it! We want him back next year! Please extend my thanks to Paul and his technical staff. The show was a big hit. We are still laughing. Thank you again."